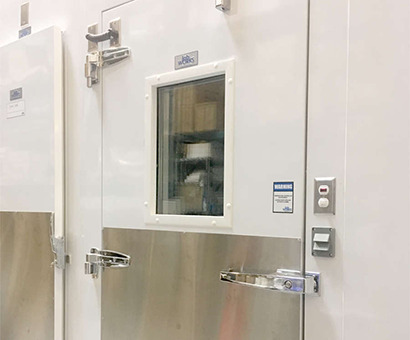 Latest Customer Projects Completed by Labworks International Inc.
Labworks is pleased to highlight another successfully completed large pharmaceutical cold room for an international 3PL company just outside of Toronto. 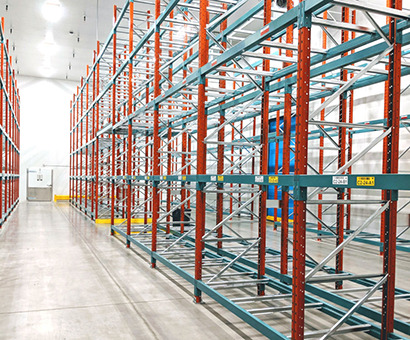 This 2-7°C validated space is our 12th successfully completed large validated warehouse pallet cooler and it features redundant primary power supplies, control systems and refrigeration systems for 100% reliability. 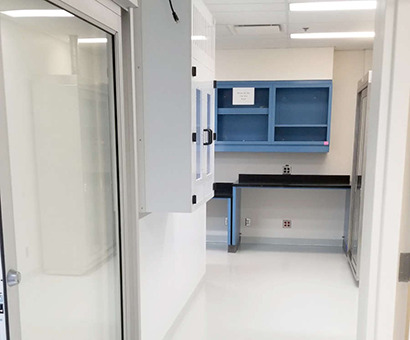 Labworks has an outstanding reputation for highly reliable controlled environments in the life sciences industry across North America. The University of Lethbridge celebrates the most significant development at their campus in recent years as the Destination Project-Science and Academic building is approaching completion. 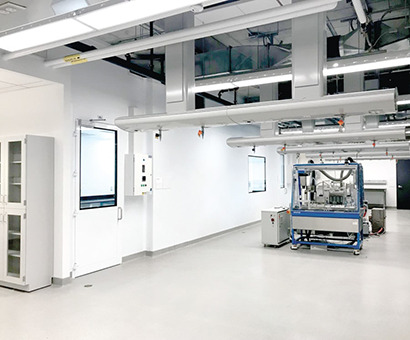 Labworks International is proud to be part of this project, providing four critical environmental rooms as well as an ISO 7, class 10,000 cleanroom. 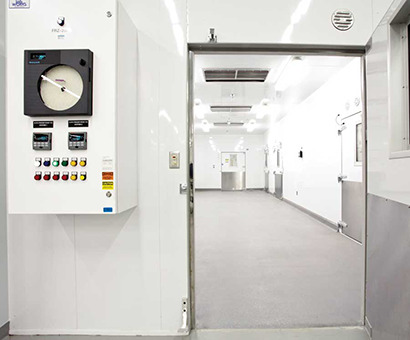 The cleanroom was designed, constructed and certified to the ISO 14644 standard by Labworks. 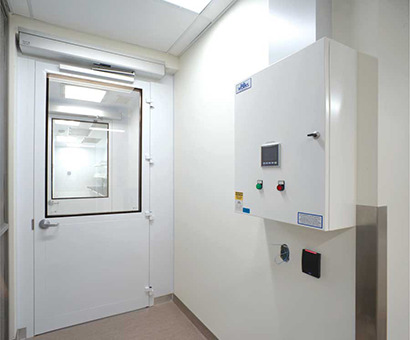 The environmental rooms are equipped with the most advanced integrated controllers available on the market. Labworks International congratulates CCRM on the grand opening of their new Centre for Cell and Vector Production GMP facility. 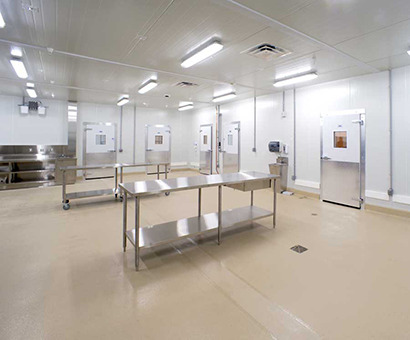 The CCVP facility provides leading-edge cleanroom facilities for the manufacturing of regenerative medicine products. 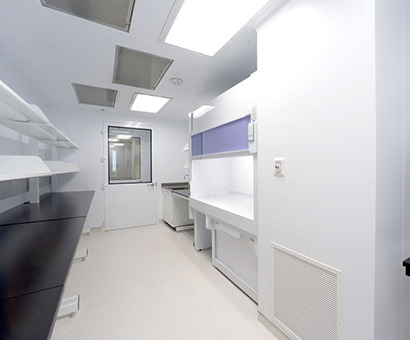 Labworks provided our bio-pharma grade modular cleanroom solution on this exciting project, working with University Health Network and the CCRM team. The new Fraunhofer Project Centre at McMaster University is an innovation centre for Biomedical Engineering & Advanced Manufacturing (BEAM). 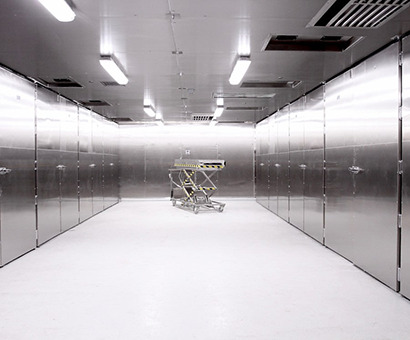 Labworks was selected to provide an ISO7 cleanroom, low-humidity room, and a low-temperature / low-humidity room. 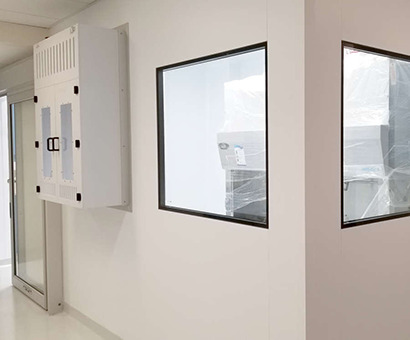 Labworks' solution features our Pharma-grade uPVC modular cleanroom panels, cleanroom grade HVAC system, and our Labtech™ refrigeration system. All systems were provided turn-key, engineered, installed and certified by Labworks to meet stringent ISO standards. The University of Toronto's Division of Anatomy is dedicated to innovative medical research and the education of a variety of students. 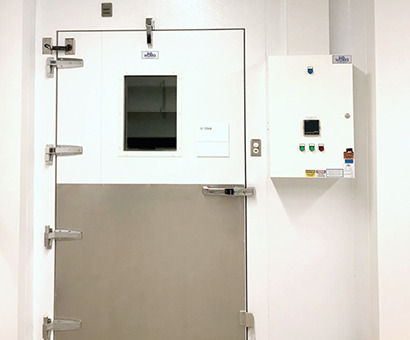 When the University decided to update their Anatomy facility, Labworks was selected to design, supply and install a temperature controlled, 247-tray cadaver storage system housing an integrated drainage bay and -20°C freezer, as well as specialized processing and handling equipment. 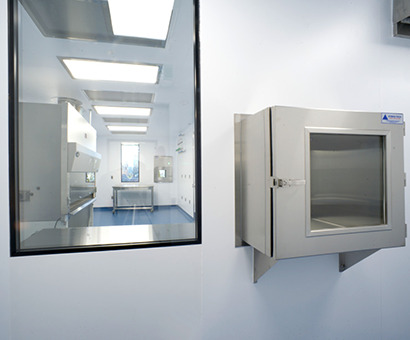 Designed by Labworks to ensure compatibility, an arrangement of ventilated embalming stations, transport carriers and an extended duty cadaver lift work together to optimize productivity. 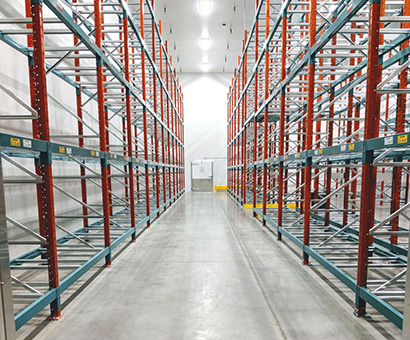 Outside of the cooler, a 70-tray double depth racking system was installed for longer-term storage. 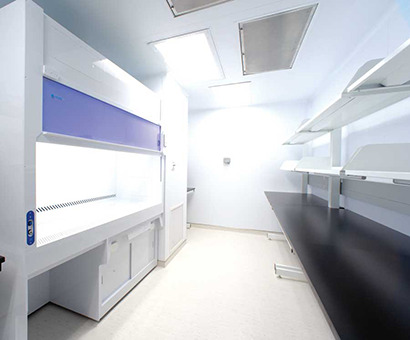 To fit out the teaching labs, Labworks provided the pro-section base cabinets as well as dissection tables. Labworks collaborated with the stakeholders within Anatomy, and with a continued focus on the details, you can see the results. Princess Margaret Cancer Centre in Toronto, Canada is one of the largest comprehensive cancer treatment facilities in the world. 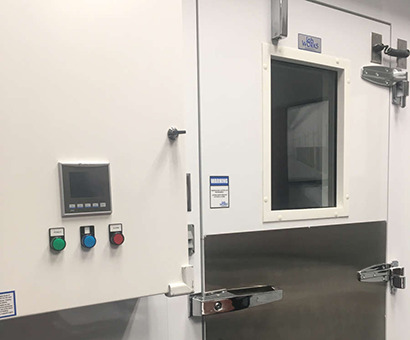 When they decided to upgrade their pharmacy compounding facilities to the latest standards, Labworks was selected to provide the USP compliant clean room facility. With over 1300 sq.ft. 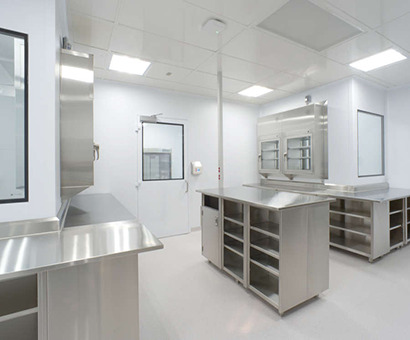 of clean room suites, and 4 compounding rooms, Labworks coordinated all aspects within the space, and with a focus on the details, you can see the results. Mount Sinai Hospital in Toronto, Canada is the main hospital within the Sinai Health System. 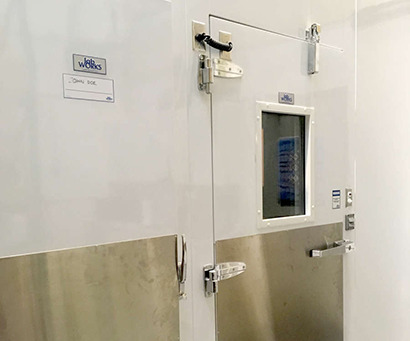 When they decided to add additional capacity to their pharmacy compounding, while incorporating the latest NAPRA standards, Labworks was selected to provide the USP compliant clean room facility. 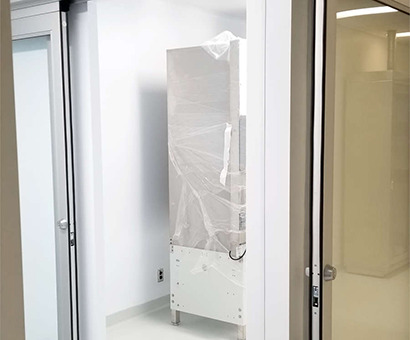 Nestled within the newly renovated pharmacy, this clean room provides in-house compounding service within a 160 sq.ft footprint. Labworks collaborated with all stakeholders within the space, and with a focus on the details, you can see the results. 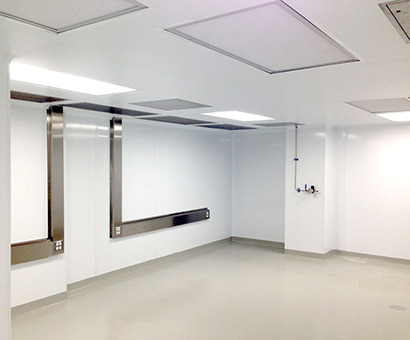 Labworks recently completed the design, supply and installation of a veterinary morgue cold room located at the Houston Zoo in Texas. 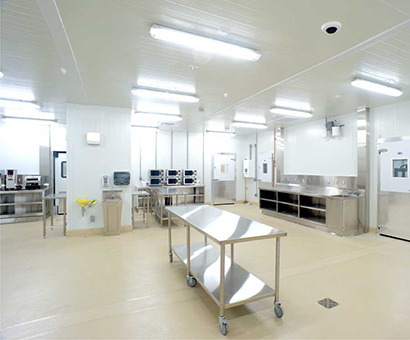 This cold room featured the supply and installation of the complete refrigeration system and insulated enclosure, stainless steel interior with full washdown capability, integrated trough drain inside the room, high efficiency LED lighting, and full digital display control panel with audible and visual notification to provide real-time alerts and status of the system operation. 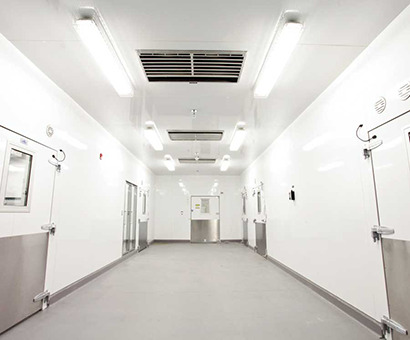 Another notable feature of this room is the integration of an animal cadaver hoist and rail system into the morgue room. 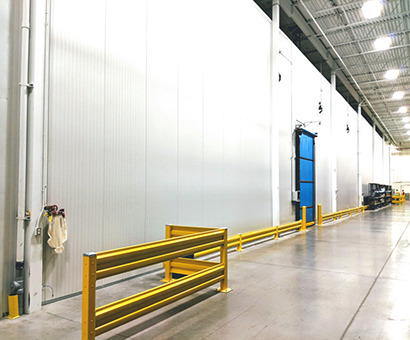 This rail system is required in order to provide hoisting capability inside the room while allowing simultaneous movement of product in and out of the room. 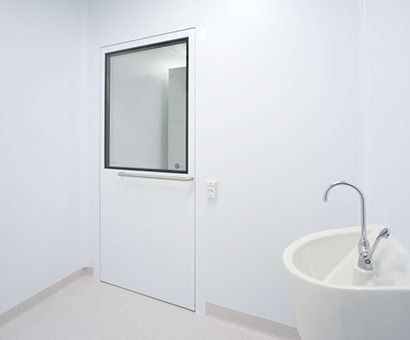 Labworks' engineers achieved this by ensuring all aspects of the hoist, rail, environmental room, door, and opening through the room were carefully designed and coordinated to ensure all aspects worked seamlessly together while providing the most ergonomic operation for users. 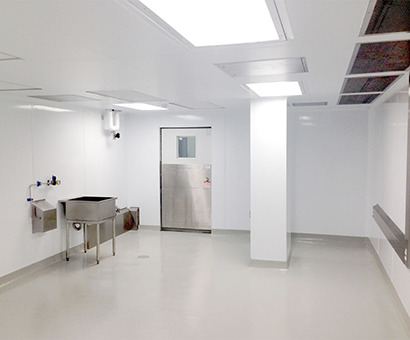 Labworks recently completed a renovation at a leading global pharmaceutical company, turning the space into an upgraded environmental Grade C cold/clean room. 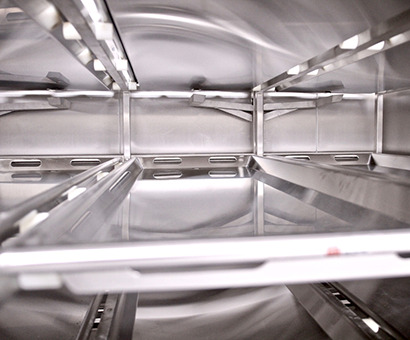 Under the most stringent maintenance shutdown window, Labworks was able to fast-track all equipment required for the installation and complete the renovation of the Grade C Clean Room including decommissioning of old equipment, installation of new refrigeration equipment, and start up and commissioning within a two week maintenance shutdown window. 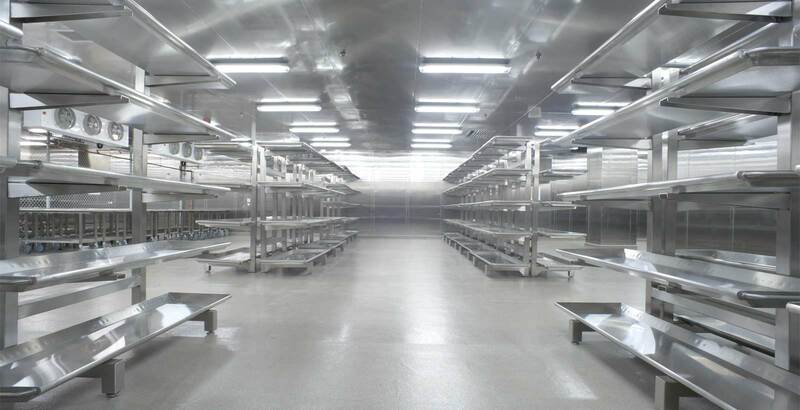 The Clean Room renovation consisted of removing existing equipment and fixtures, installing new dual-redundant refrigeration systems, installing new Clean Room wall panel liner system, new HEPA filtration and clean room grade light fixtures, as well as an upgraded control system featuring industry leading monitoring and control panel. Third-party certification was performed as well to validate that the new space exceeded cleanliness requirements of a Grade C Clean Room. 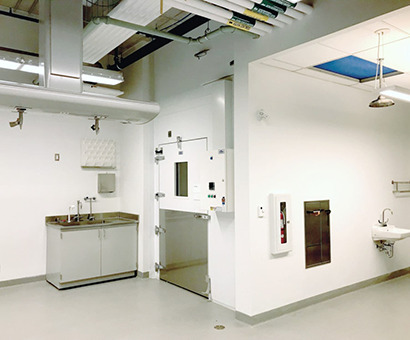 Labworks completed validated spaces for Canadian Blood Services utilizing our LabTech refrigeration system to ensure high-performance and maximized space availability. Every aspect of the room design was carefully planned to ensure the space conditions are achieved and the areas meet the requirements of staff. Feedback from the users of the space were integral in the equipment design. 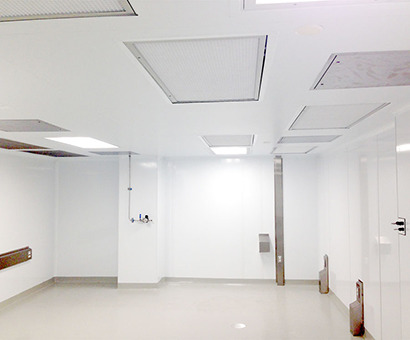 Labworks International recently completed all of the cold room environments at the new Humber River Regional Hospital. 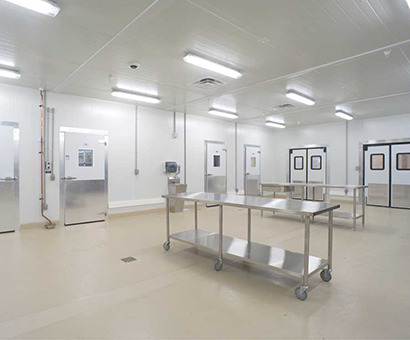 Labworks' innovative LabTech cooling solution providing refrigerated space for food services, laboratory rooms, waste rooms and mortuary areas. 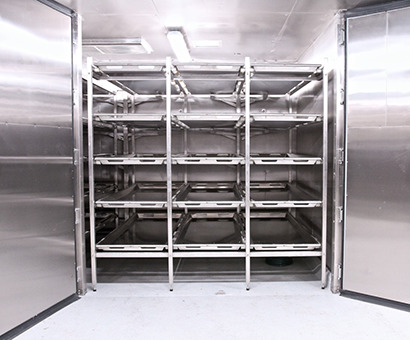 Labworks provided the morgue equipment for HRRH including Body Storage, Power Lift, Body Transfer Trolley's, and all associated equipment. 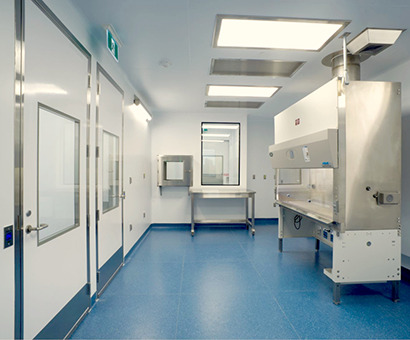 Labworks provides advanced clean rooms for Research, Healthcare, Pharmaceuticals, Biotechnology, and industry. 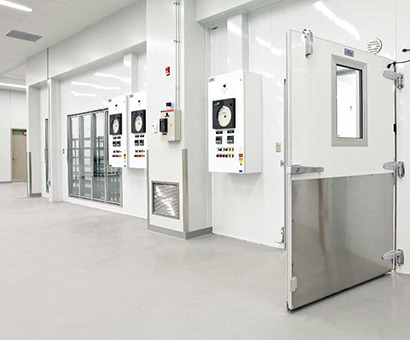 As a turn-key supplier, Labworks delivers all aspects of clean room solutions from wall systems, HEPA ventilation systems, fume hoods and benching, as well as air showers and other related equipment. 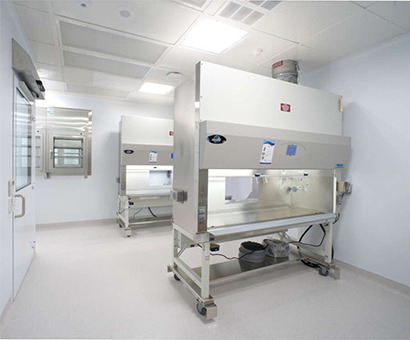 Once complete, Labworks offers third party certification to ensure the room can be used as specified. 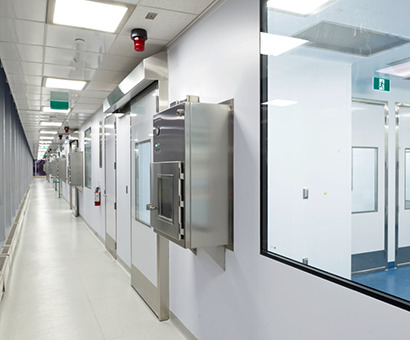 Labworks newest clean room completed at the Li Ka Shing Research Institute.